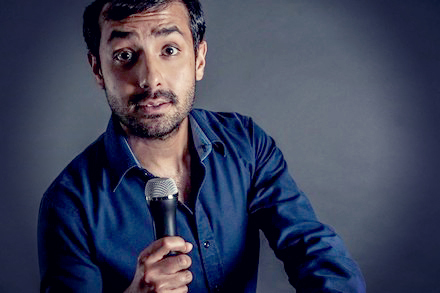 Noor Kidwai is a Canadian Comic who has been performing for over 10 years. He was raised in the small Canadian farming town of High River. Much of his material started out on being one of the only brown guys growing up in High River. Over the years Noor has evolved to be a very well rounded comic talking about a whole variety of topics. He has sharp writing and a in your face style, combined with a background in Improv which makes him quick on his feet. He has been featured on Candian television and festivals, and on XM Radio, and is now breaking into the UK comedy scence.